Aspen Anderson, left, explains the the properties of CBD products to pet owner Lindsey Hazelwood. Following a potential crackdown from the state's agriculture department, pet stores find new way to sell SBD products. Lindsey Hazelwood's dog gets anxious when she and the family leave the house. The 4-year-old husky whines and chews things it shouldn't in an attempt to escape. Hazelwood hasn't yet found something that helps calm the dog down. After a visit to a local pet store last week, though, she hopes some cannabidiol, also known as CBD, will do the trick. "Our friends have suggested it but we haven't tried it yet," Hazelwood says. "[The dog] freaks out whenever we leave; she digs holes and chews the wood in our house trying to get out." So after discussing ways to give her dog cannabidiol—either via a biscuit or oil—she purchased a small bottle of the latter to try out. 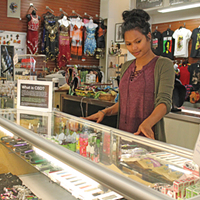 The product is one of a number manufactured by Park City-based Healthy Hemp and can be found in stores around the valley. The company's CBD pet products are used to treat arthritis, anxiety and nausea—some of the same reasons humans consume CBD, among others. Hemp oil is an active ingredient. The items come in oil or a balm or in an edible, treat-like snack. However, nearly a year ago, the products almost were pulled from shelves. 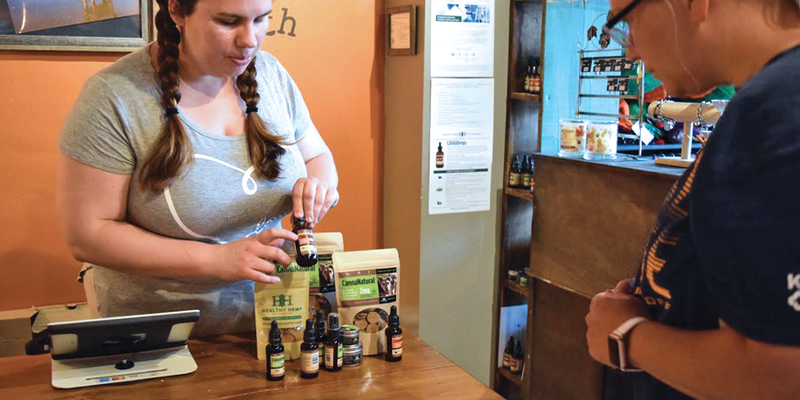 In August 2017, Utah's Department of Agriculture and Food issued warnings to more than two dozen businesses regarding sales of CBD products intended for animal use. 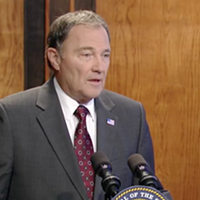 The letter at the time asked for "voluntary compliance in recalling previously distributed products and refraining from future sales of hemp and hemp products in the state of Utah." But almost a year later, consumers can still purchase the products for their best friends, thanks to a little creative labeling. 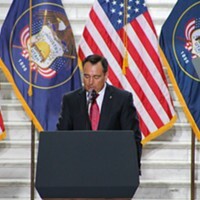 Mark Ashcroft, the department's feed-program manager, tells City Weekly that any hemp or cannabis-type products previously were illegal because they were not approved by the Food and Drug Administration and the Association of American Feed Control Officials—a voluntary membership association to which Utah belongs and regulates the sale and distribution of animal feeds. "There were a couple businesses that went in and changed their labeling," Ashcroft says. "They took out any feed-related terms ... there were words like 'treats' and 'biscuits' and stuff like that that made it appear as a nutritional item and that took them out of our jurisdiction because they were then not marketing it as an animal food." As a result, the products now fall under the jurisdiction of the FDA, according to the agriculture agency, and sort of operate in a gray area. Instead of labeling the products with words like "biscuit" or "treat," the food packages say "Cannanatural" and instead of CBD, they say "Phytocannabinoid Rich Hemp Oil," PCR for short. The products are also gaining popularity among consumers, according to various pet shop owners. Aspen Anderson, who owns Desert Raw Holistic Pet in Foothill Village, says that while the agriculture departmen issued her store a warning last year, she never was forced to pull the products off the shelves. "It's within my top three brands," Anderson says. "I sell more of it than most of the other products." Anderson sold Hazelwood the bottle of CBD oil and encouraged her to try it out on other treats if the dog didn't like the taste. Lori Young owns Pet Wants in Sandy and also manufactures a CBD salve for Healthy Hemp. Young, like Anderson, was given a warning by the agriculture department about the products. "It was only a suggestion—they weren't forcing us to [remove the product]," Young says. "I responded back to them as the manufacturer: 'Knowing what this product is capable of doing, I will not be removing this product from my store shelves.'" About six months later, she received a follow-up letter saying the retailer had followed all the rules and that there was "absolutely no reason to remove it from the shelves." Melissa Ure, a department policy analyst and hearing officer, says the products now are seen as a drug and don't fall under the UDAF's purview. "I think most of the owners who are selling it are aware of it, it's not an approved drug by the FDA," Ure says. "The FDA could come in if they want to and enforce that—currently they are not—but it doesn't mean they won't." Young says that while the action made some people think the products were illegal, their sales still "went crazy" and she used it as an opportunity to educate her customers about CBD. That feeling of a crackdown has since subsided. 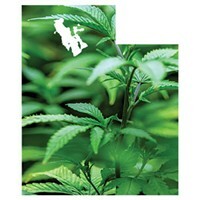 However, as Healthy Hemp's owner Dave Merrell points out, there still are other hurdles running a hemp business. "Our biggest hurdle is education" Merrell says. "That No. 1, this stuff works, and No. 2, are we legal or not legal?" Once hemp is classified as a crop by the state, he says, their credit card processing fees will also go down. Fees are high today because the industry is deemed as high-risk by many brokers. Meanwhile, the agriculture department, which now is tasked with implementing the state's hemp and medical cannabis bills it passed in the last legislative session, is currently trying to figure out how to address the issue of using CBD in animal feed. The department had scheduled a meeting with the Natural Resources, Agriculture and Environment Interim Committee committee on July 18, but they ran out of time and postponed the discussion. "We're kind of in a, 'We're going to let the FDA handle the drug part of it,' mode," Ure concludes. "What becomes a problem right now, with the laws that just passed regarding CBD being available for humans ... we're kind of in this gray area for animal feed and it's going to take some legislation to correct that in some way or another."